If you love original outfit ideas like we do, then you should continue to read this article. Today I want to show some good examples of looks with satin trousers for spring and coming summer days. But why are they so awesome? First of all, they look unique and stylish at the same time, so you can create eye-catching and elegant outfits with them, for sure. Secondly, they are airy and comfy to wear, for example, to create a relaxed look you can choose wide leg (or palazzo) satin pants. Now you just need to pick up a type and color for your new item and start to create an everyday or event outfit. Get inspired! Love bright colors? 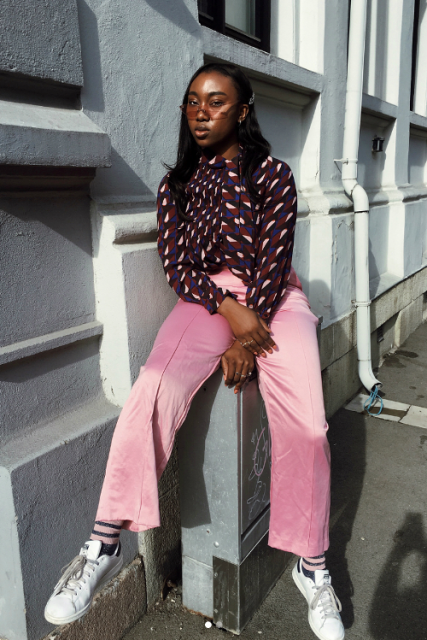 First of all, you can choose pink satin straight trousers and pair them with a purple and pink printed shirt, striped socks and white sneakers. Secondly, you can take yellow palazzo long pants and combine them with a light blue top, sunglasses and high heels. And, thirdly, you can try to repeat a combination with a white long sleeved crop shirt, oversized sunglasses, white shoes and purple high-waisted wide leg trousers. For those who want to make a more official look, I offer to mix a white loose blouse with black satin cuffed pants, a beige tote bag and ankle strap high heels. 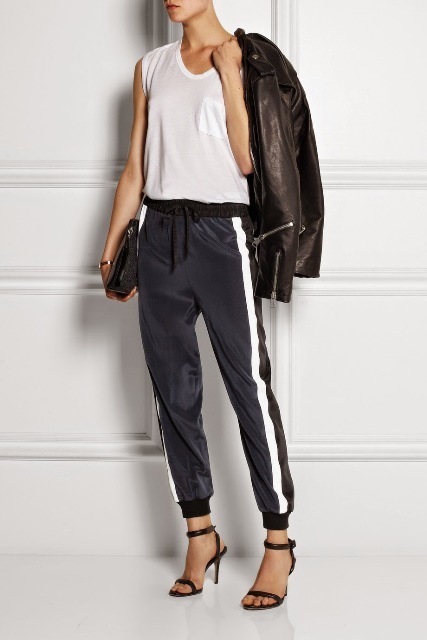 To make a sporty chic look you can choose a black t-shirt and combine it with a black bomber jacket, beige satin long pants and black and white flat shoes. 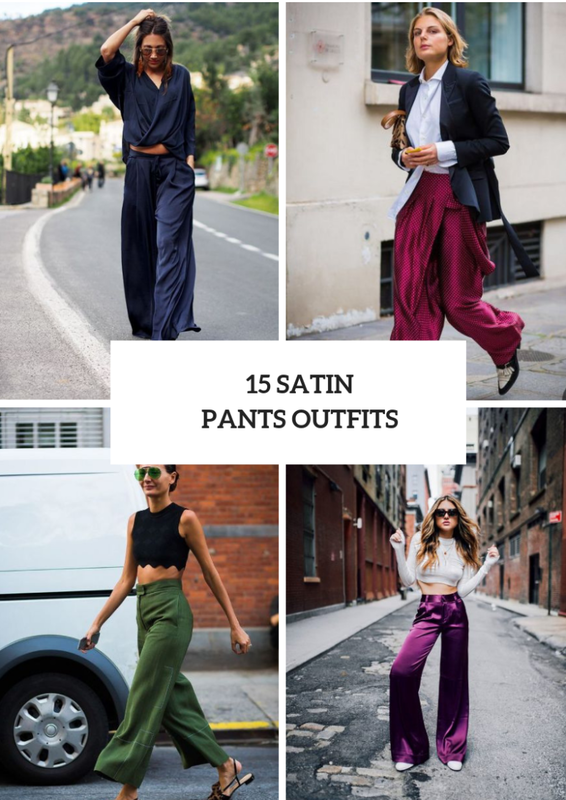 Or find satin joggers and mix them with a white sleeveless top, a leather jacket, a clutch and black ankle strap sandals. Wanna create a party look? Then take a navy blue satin suit with a loose cardigan and straight pants and pair it with a black top, a clutch and classic pumps.